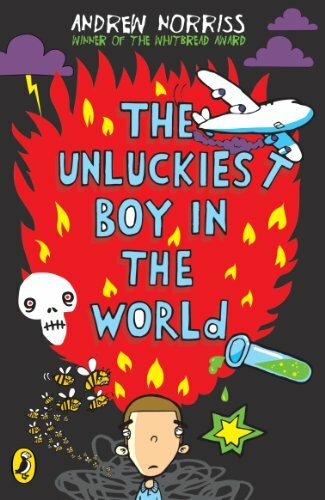 Nicholas Frith has always considered himself to be about as lucky as the average boy. But while on holiday with his mum, Nicholas accidentally disturbs an ancient tomb and everything changes. Nicholas falls under an ancient curse and suddenly misfortune, calamity and disaster follow him everywhere! Nicholas Frith has always considered himself to be about as lucky as the average boy. But while on holiday with his mum, Nicholas accidentally disturbs an ancient tomb and everything changes. Nicholas falls under an ancient curse and suddenly misfortune, calamity and disaster follow him everywhere! The curse can't touch Nicholas himself, but bad things happen to everyone else around him. Forced to move from school to school, Nicholas loses hope of ever lifting the curse or ever finding someone who will risk being his friend. But one day he meets Fiona - the one person who is prepared to take that risk. Through Fiona's friendship, Nicholas learns to believe in himself and break the curse at last, changing his luck for ever.